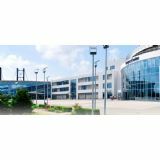 Rapid.Tech + FabCon 3.D is one of Europe's key information and communication platforms for Additive Manufacturing processes. It focuses on the latest developments in rapid prototyping, the manufacturing of end products using additive techniques, and how the technology can be transferred into mass production. 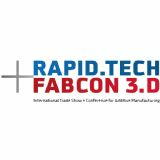 The unique nature of Rapid.Tech + FabCon 3.D has been impressing exhibitors, visitors and participants alike for some 15 years now.